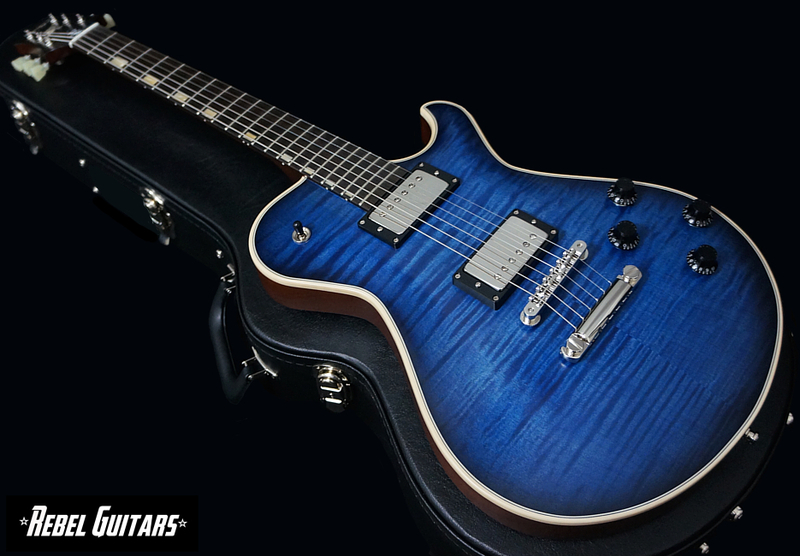 Here is a Knaggs Steve Stevens Signature model SSC that features a Ocean Blue finish over a Flame Maple top. Other specs include a Mahogany body and neck, Macassar Ebony fretboard, custom SS neck carve, SS block inlays, Ebony headstock veneer with Ray Gun headstock inlay, nickel hardware, TonePros bridge, Kluson Revolution tuners and Bare Knuckle Steve Stevens pickups. The SSC features a classic single cutaway Mahogany body with a carved Maple top, custom SS neck carve (22 frets on 24.75” scale), Rosewood fingerboard with block inlays, ray gun headstock inlay, Bare Knuckle pick-ups and appointments tailored to Steve’s preferences. The instrument will be available in a variety of transparent and opaque colors and a permanent model offering in Knaggs guitars’ instrument stable. 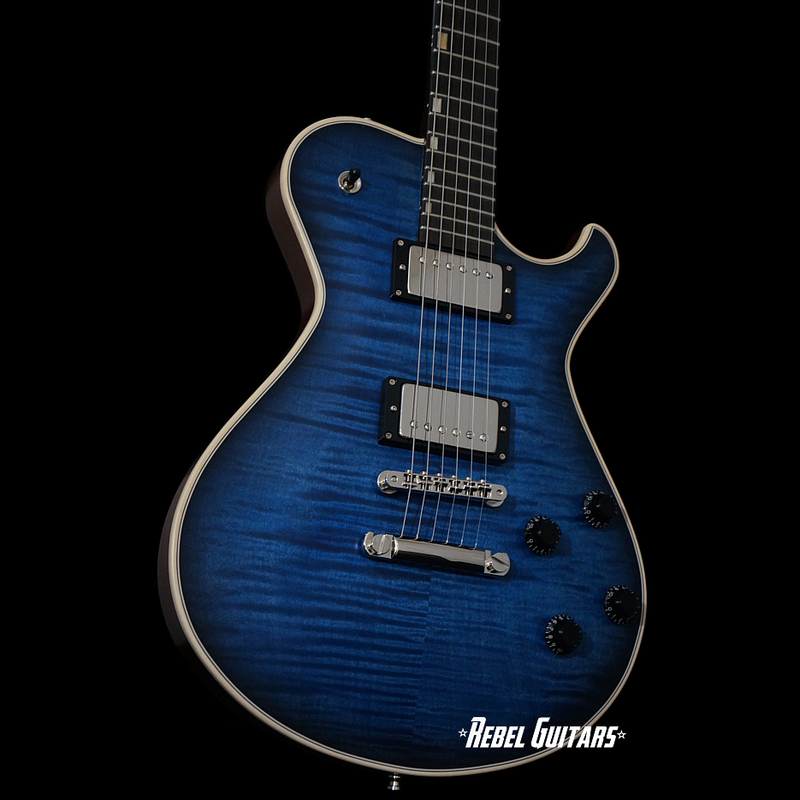 Steve Stevens said: “After pushing the envelope of opulence and high bling factor, we felt if we were going to introduce another guitar in the Knaggs SS series where do we go? Well….back to the roots was the obvious answer. As Knaggs guitars are so known for their stunning highly figured tops, let’s do a guitar that showcases that aspect and adds a warm old school factor”. Joe Knaggs added: “It has been great working with Steve throughout the past years. We are happy and excited to continue our collaboration with one of the most influential players out there”.